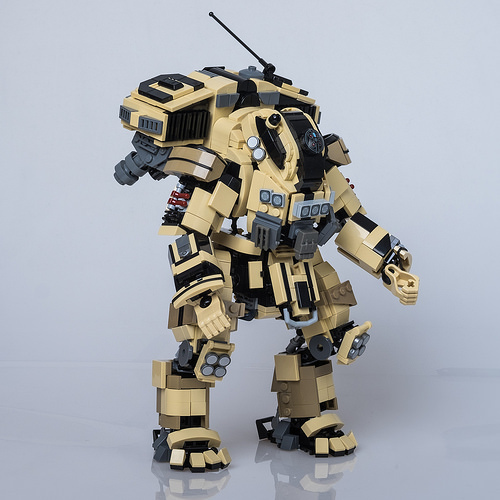 Shortly before the release of Titanfall 2 in October 2016, talented builder Marius Herrmann uploaded his first Titan build of Ronin. After that he went on to recreate the rest of the mechs from the game, but stopped short of Scorch. But now Scorch has been completed, and it may be the best of the bunch. 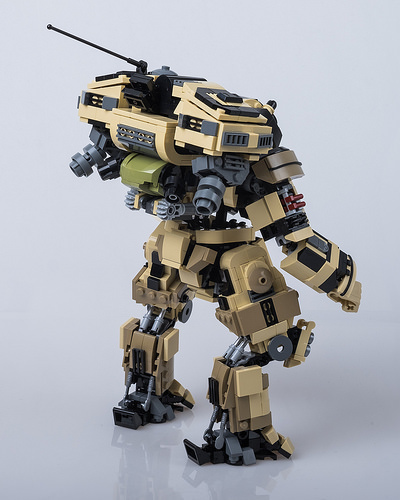 Like the other Titans, Scorch was done in his base colour, which translated into mostly light tan. But the amount of added detail from black, dark tan and a few printed pieces make this far from boring. The overall shaping is just about perfect but it’s the small details that make this build so incredible. This continues around the back of the build and you can spend a long time staring at this and pointing out all the great parts usage. The only thing that’s really missing is the thermite launcher, but that’s more than forgiven here. I enjoyed the single player campaign. These are really well done and remind of the Horizon Zero dawn builds. And now I want a set of each.